From broadcast design, visual effects and animation, to complete workflows for cinema and television including on/off set color correction/grading, editing and even 3D Stereoscopic Post — our team of artists and engineers is ready to bring your vision to life. 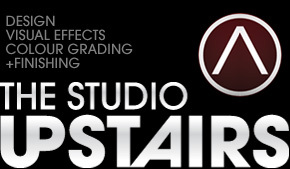 As a division of Creative Post, a respected member of the post community since 1985, The Studio Upstairs offers a variety of creative services for any stage of your project. Use the Filter Video menu to browse our work by project category or make a selection from the list of Creative Services to the right.